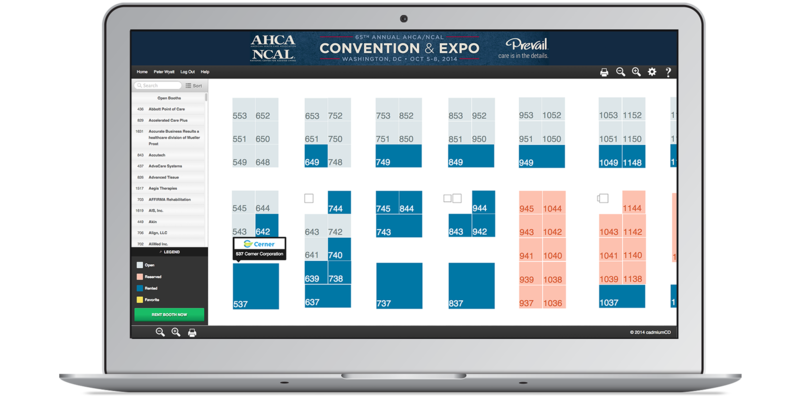 Our Interactive Floor Plan isn't just convenient for conference organizers, it also redefines your attendees' conference experience. Tweet and Like exhibitors with the touch of a button. Access content from both mobile and traditional platforms. Layouts and floor plans can be made to match your brand. Create booths that are aligned and organized with CadmiumCD custom rules. Toggle through different map views, so you can see it the way you want. 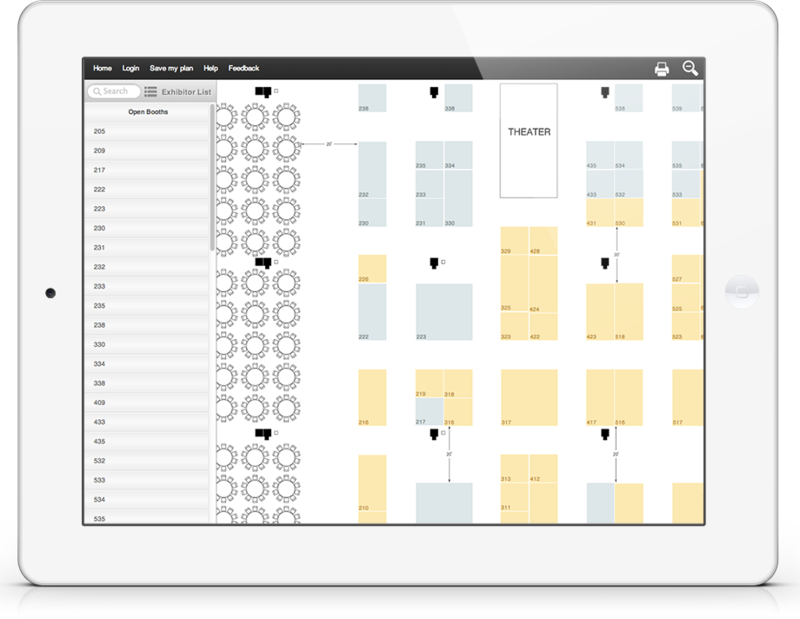 Hover over each booth to view the company name, status, and booth number.